Find that perfect walking softshell with our reviews of all the top options in 2018. 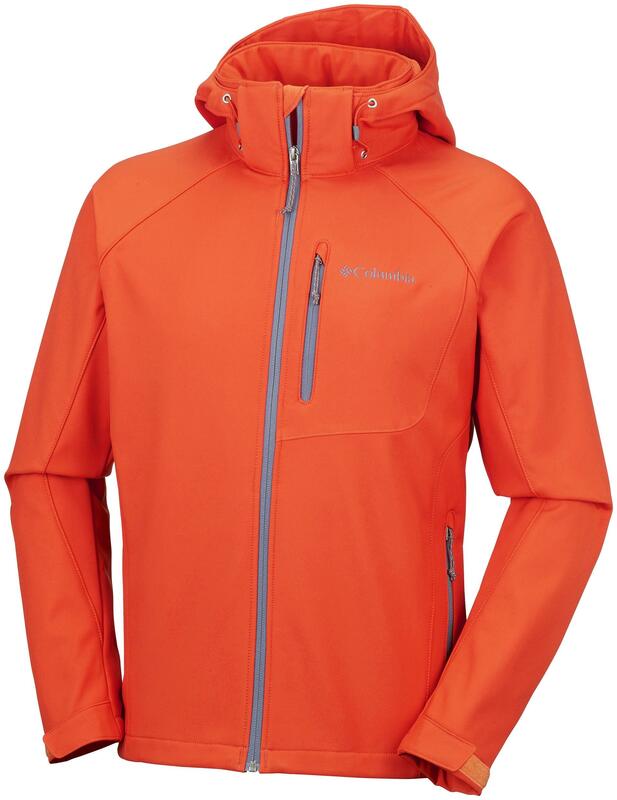 Six of the best softshells for autumn, winter and spring hikes. I’d always taken it as a given that they were key outdoor clobber, but he made me rethink things. If you’ve got clothes to keep you warm and dry, then a softshell isn't crucial, like a waterproof is. However, they are still very useful. The best way of understanding them is as a weather-resistant jacket that isn't waterproof. It'll keep wind and cold away, and water out for a time, but not for as long as a waterproof. However, that means it's significantly more breathable, so it's more pleasant to wear for long spells where a waterproof might make you overheat. For those blustery autumnal days under grey clouds, or when you know you're going to get a bit of a sweat on slogging up a long climb and the forecast is intermittent light showers, a softshell is ideal. For winter walks, they can also make a good midlayer. They're not usually as warm as a fleece or insulation jacket, but they offer better weather resistance. On some days, wearing a softshell will definitely mean less stopping to switch layers about. It's an inessential but versatile garment, and one I've come to really like (and not just because of all the pockets – I do love a good pocket, me). 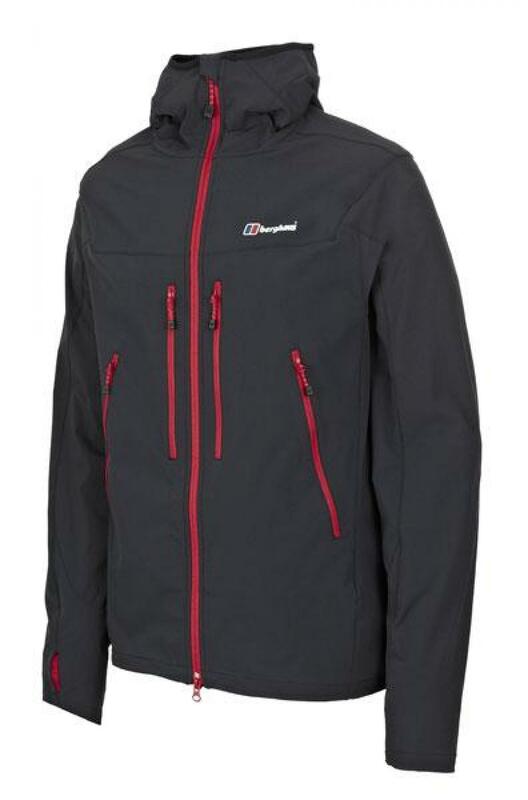 Berghaus's Pordoi is a lightweight option, better suited to spring and autumn rather than an outershell for true winter. Unlike some of the heavier options on test here, the four-way stretch AF Softshell fabric is pleasingly malleable and really moves with the body, suiting active use. It's superbly breathable too, with an effective water resistant finish. Features include four zipped pockets (the chest ones are pleasingly big, though the waist ones are a slightly odd shape) and thumb loops (though without Velcro fasteners, they're not as wind-proof as some options). The hood is ample (it doubles as excellent neck cover in wind) and peaked, while a fleece flap protects lips from a cruel meeting with the zip. There are also hem adjustments and a double main zip, to save on faffing when you've really got to go. Pros: Light, breathable, comfy and with good features. Cons: Not as much protection as some options. Verdict: A very good, lightweight option for active use. Like the Sherpa option below, Columbia's Cascade Ridge II is much more of a heavy duty affair. The material is reassuringly thick, but not unreasonably restrictive. It's decently stretchy, with a really snug fleece lining. The Omni-Shield® advanced repellency keeps the weather out, and with a good stiff collar, you feel ready for anything in this. Other features include an adjustable hem and three zipped pockets. A removable hood is a decent idea, but it's large and the Velcro tab on the back doesn't provide adjustability as effectively as some other garments here. Plus it lacks a peak. As with all Columbia's products, the crucial thing to remember is that the sizing is bigger than we're used to. Pros: Tough material, but still very comfy. Cons: The hood and the weight. Verdict: Heavy duty winter option to keep the elements out. 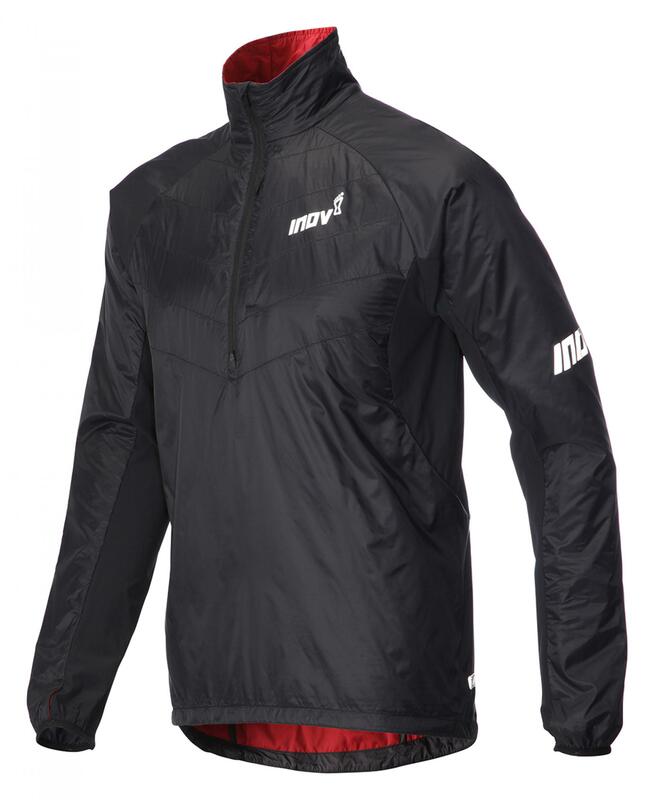 Inov-8’s Pro Thermal is a stylish softshell-windproof hybrid, and is more youthful looking than most here. At 325g it’s a lightweight option; one that easily gets chucked in the pack without adding noticeable weight. Yet for the minimal weight, you get really good protection and features. It’s made from Pertex Equilibrium for warmth and zoned, highly-windproof Pertex Quantum® for protection of vital organs. The hood lacks a peak, but adjustments mean it can be a really tight – but still comfy – fit, keeping the elements out that way. The hood can also be buttoned down to avoid being irksome in wind. Zipped pockets, adjustable hem and thumb loops complete the features set. The jacket is lovely and stretchy overall, as well as comfy and never restrictive of movement. It’s one of those jackets that soon becomes worn for social occasions and almost feels too stylish to get muddy and sweaty. Almost. Pros: Lightweight, breathable, stylish, stretchy and comfy. Cons: Not as much protection or warmth as some on test. Verdict: An excellent, lightweight softshell for active use. 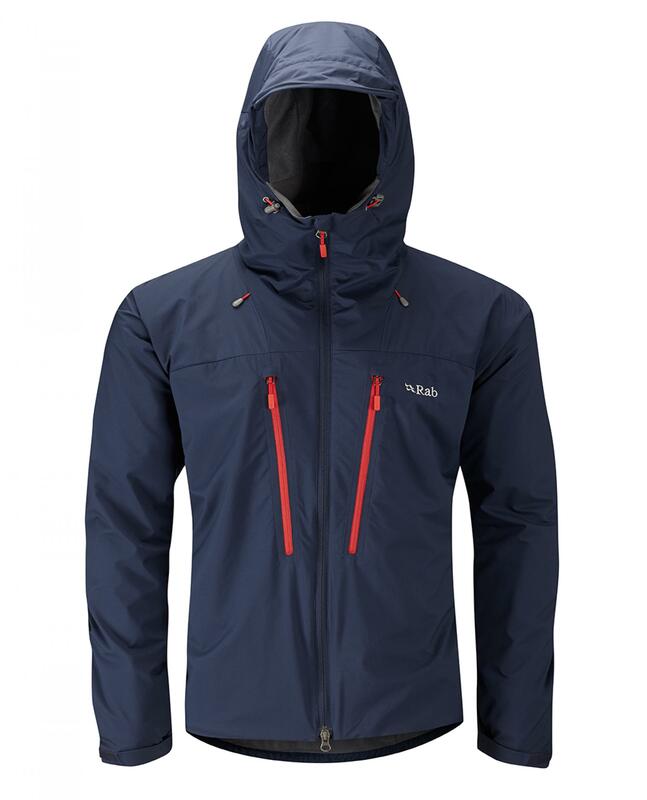 The Rab Vapour-Rise Lite Jacket feels different to the other softshells on test. It's just, well, softer. So lovely and soft. It moves easily with the body, it's really breathable and the wicking micro-fleece liner makes you shiver with delight. It's created for the more active user, in fact it’s designed for mountaineering, but don't let that put you off. This is the warmest, most comfy and least restrictive on test. Rather than heavy, restrictive weather-proofing materials, the fabric is light and comfy but also very quick-drying. It's a really good midlayer option for winter too. Being designed with mountaineering in mind means a fully helmet-compatible hood (which for the rest of us, means there's ample head and face coverage, full adjustability and an excellent peak). Velcro adjustable wrists, two huge zipped chest pockets, an adjustable hem and two-way main zip complete the features. Pros: Really comfy, warm and breathable, with a great hood. Cons: Not as weather-proof as some options. Verdict: Comfy, warm, breathable and very wearable. An excellent year-round softshell. French brand Salomon's kit always looks stylish. Constructed from 'brushed stretch double weave', it's designed to shed water, repel wind and feel good against the skin, which it does. It's a curious, light, but likeable material, which feels too soft to be effective – yet it is. The Rangers’ USP is versatility – “for city, coast or mountains”, claims the marketing spiel. It's stretchy and breathable and indeed is exactly the kind of jacket you can wear all day, for nipping to the shops first, then up the hills, and straight to the pub after. 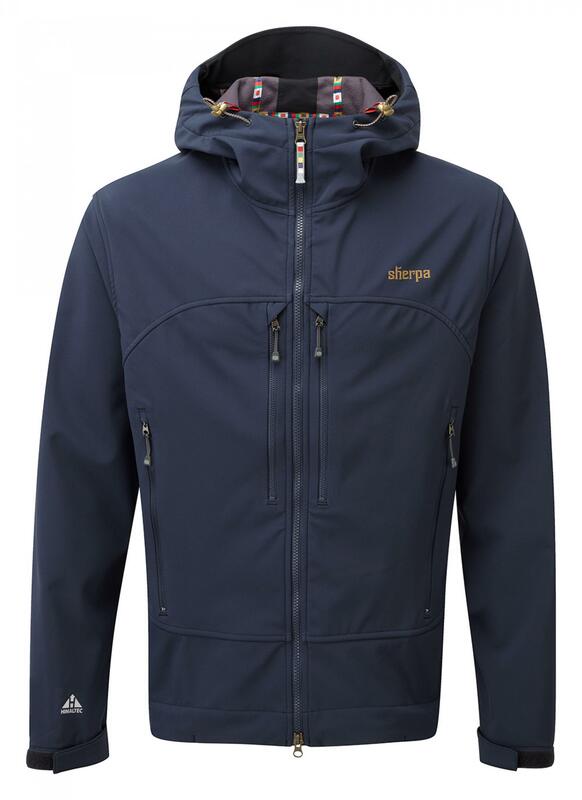 Features include three zipped pockets, as well as cuff, hem and hood adjustments. It is a more athletic cut though, so it won't suit all builds. Pros: Stylish, breathable and versatile. Cons: A less versatile cut. 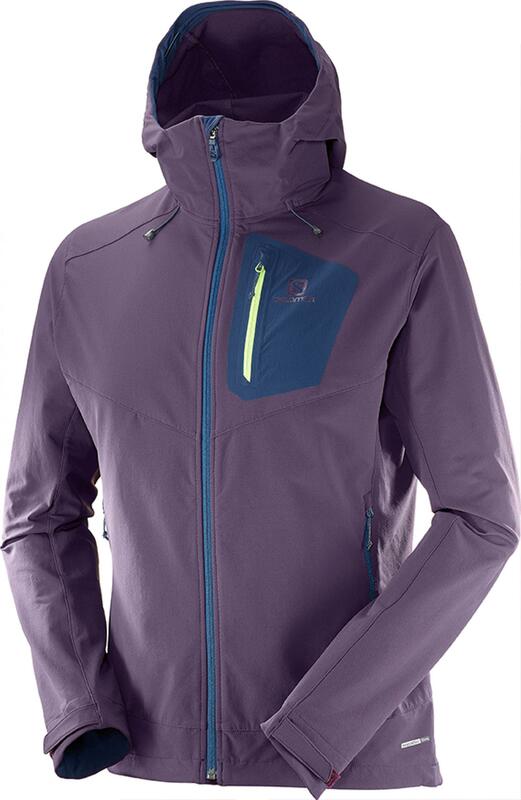 Verdict: A great, stylish and versatile softshell. Designed for colder conditions, the Sherpa Nilgiri is a really protective garment; something you'd be comfortable wearing in rain for a while. Tough material makes it durable and weather-proof, but it's stretchy and breathable too. A big hood gives excellent coverage, with a peak and full adjustability. Four sizeable zipped chest pockets would comfortably fit a hat or gloves with room to spare – and double as ventilation options. The hem is adjustable, it is harness compatible and it even includes media ports. Another nice touch is the fleece lining, which gives it a snug factor and makes you feel compelled to wear it. In this you feel thoroughly protected and comfortable. For every product Sherpa sells, 25 cents is donated to the Sherpa Adventure Gear Fund to provide a brighter future to the children of Nepal. Pros: Great protection, comfort and ethics. Cons: A bit big and heavy for warmer conditions. Verdict: Heavy duty softshell that feels more like a hardshell. Damian Hall is an outdoor journalist who’s completed many of the world’s famous and not-so-famous long-distance walks, including Everest Base Camp trek for his honeymoon. The tea-loving hillbilly is the author of the official Pennine Way guide and his newest book, Long Distance Walking in Britain, is out now. There’s plenty more self-aggrandising hogwash on Twitter (@damo_hall) and at www.damianhall.info.